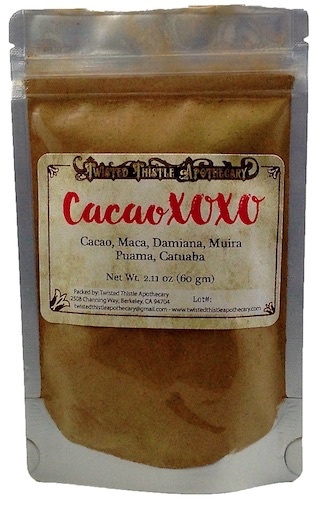 Herbal blend of Cacao, Maca, Damiana, Muira Puama and Catuaba. 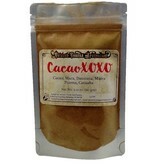 I love using this blend to set a romantic mood with my partner. It tastes really good!